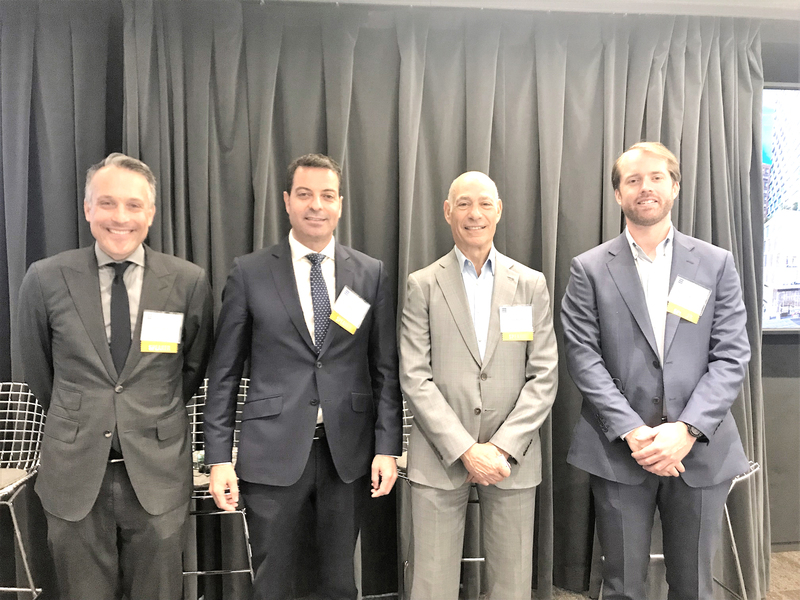 A panel of experts led a discussion on developments on the Lower East Side during an event hosted by the Greater New York Construction User Council (GNYCUC) at Gensler’s New York City headquarters at 1700 Broadway. “As the Lower East Side neighborhood evolves, real estate professionals and locals alike are eager to discuss the direction these developments are taking and how these unique and modern, yet cultural projects meld into the atmosphere and landscape of the area,” said Ariel Tirosh, an agent with Douglas Elliman who moderated the discussion. Featured speakers Charles R. Bendit, co-chief executive officer of Taconic Investment; Ron Moelis, CEO & founding partner of L+M Development Partners; and Winthrop Wharton, director of development for BFC Partners offered insights and their takes on Essex Crossing, one of the most exciting developments in New York City. The 1.9 million square foot mixed-use development will offer more than 1,000 residential units of housing, 450,000 s/f of retail and amenity space, and 350,000 s/f of Class A office space. Essex Crossing is coming to life with its first residents moving into the Rollins and lesing underway at 145 Clinton Street. The Rollins will house a Trader Joe’s and a Target, which will open in late summer, and an adjacent 15,000 s/f public park designed by West 8 will also open this summer. Sales have surpassed 50 percent at 242 Broome, a 55-unit luxury condominium building expected to open later this year. 242 Broome will also house the new home of the International Center of Photography, expected to open in 2019. Finally, across the street at 115 Delancey Street, rental leasing is expected to begin later this year.